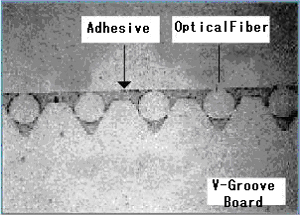 The adhesive technology used in optical communications is one of the key technologies we offer. 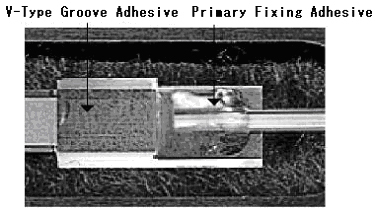 For Fiber V-Type groove fixation : Application area A. Fiber base fixation : Application area B.